Dulbecco’s Phosphate Buffered Saline (DPBS) is intended to provide a buffer system for maintaining cell culture media in the physiological range of 7.2– 7.6. It generally serves as an isotonic saline solution or buffer for washing cells and tissues. 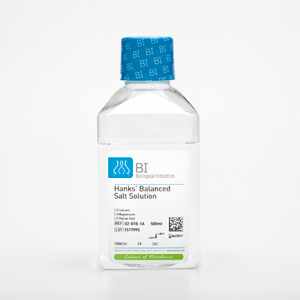 It’s utility in maintaining mammalian cells when a chemically-defined, balanced salt solution provides the appropriate milieu to sustain the physiological and structural integrity (i.e. tonicity/viability) of cells in vitro for a limited period of time. 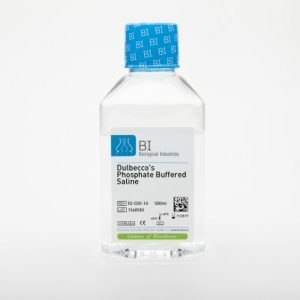 Biological Industries offers a range of DPBS formulations. 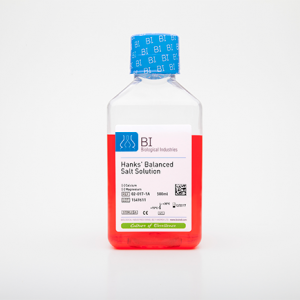 DPBS without calcium (Ca2+) and magnesium (Mg2+) is often used in trypsin solutions. DPBS without calcium and magnesium is used in the dissociation process to wash and resuspend cells when the presence of calcium and magnesium may inhibit trypsin activity.